Murtaza Ahmadi: In last November, Ghazni which is located in the center of Afghanistan was raided by the Taliban. As a result of this raid, the Afghani boy Murtaza Ahmadi along with his family have to move to another region to save them as they have received many threats from the Taliban. 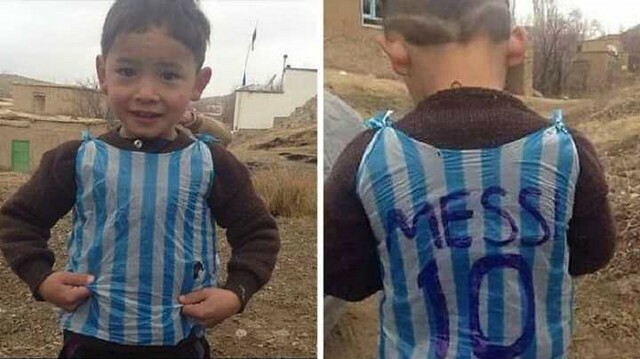 Murtaza Ahmadi is the boy who became an internet sensation after his picture became viral in which he was wearing a ten-number shirt made out of the plastic bag of his favorite hero Argentinian Lionel Messi. A Viral Picture: A few years ago, Murtaza Ahmadi, a boy of five years old became a star in an overnight as his picture became viral on the internet. 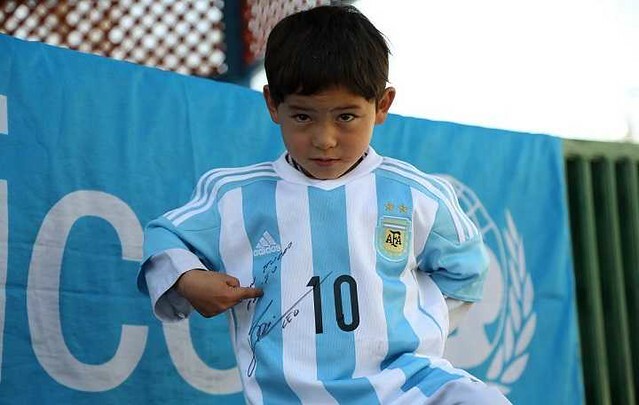 In the picture, he was captured wearing an improvised shirt which his favorite hero Lionel Messi wears. 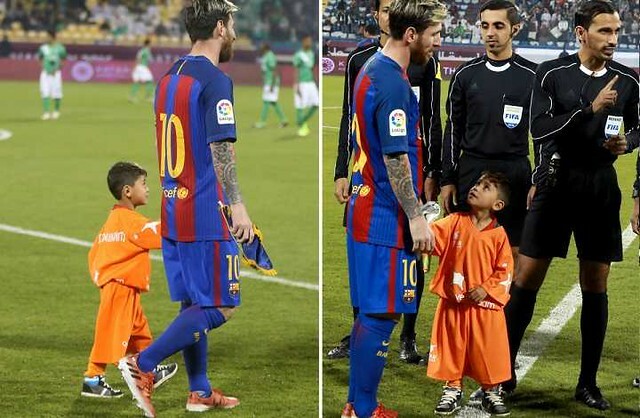 There are many pictures of Ahmadi wearing the Messi’s jersey on the social media in which the pure love and innocence of the young boy are visible and the passion he has for football and his favorite hero Lionel Messi can be viewed easily. Messi sent him some gifts: The shirt was made out of a plastic bag. The picture was widely shared across the social media which made him a star. 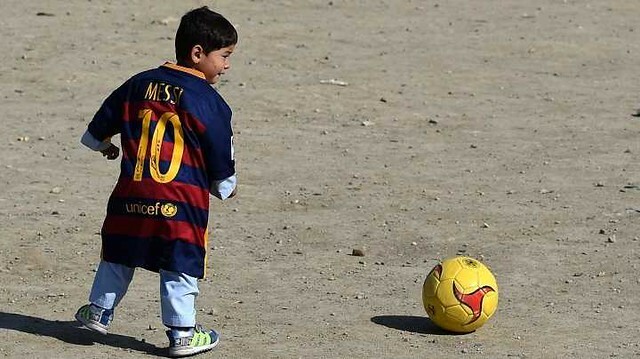 In 2016, the young boy along with his family traveled to Kabul from the area of Ghazni which is considered an area controlled by the Taliban, to receive his gifts sent by his favorite star Messi. As Messi is a UNICEF goodwill ambassador so he in order to appreciate the love of that young boy sent gifts through UNICEF for him. On 13 December 2016, Ahmadi also had the honor to bring the match ball in the field during a friendly match between Saudi Arabia’s Al-Ahli FC and FC Barcelona. He finally had a chance to meet Messi: This was the moment for him when he got the chance to meet his hero face to face for the first time. Murtaza Ahmadi told Sky News Arabia, that he really misses his home that is situated in the Jaghori district of Ghazni province. When he and his family had to flee from their home he left many things behind including the ball and jersey he received from Messi. With tears in his eyes, he mentioned that he really misses his ball and the jersey. The undesired migration: The migration of this young boy and his family was necessary as they have to move to a safe place as they were continuously receiving threats from the Taliban. The family also attempted to migrate to the United States, but the attempt failed and the family along with the young boy had to move back to Afghanistan from Pakistan. People all around the world have different passions and love for different activities and people especially celebrities like actors, sports personalities, and different political characters have huge fan followings which they love and admire. Murtaza Ahmadi is also a huge fan of Messi but the prominent thing about him is that he is of such a young age and he is among few fortunate fans that got attention and love from his hero in return.